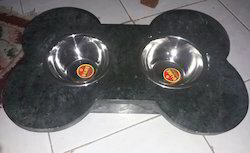 Leading Exporter of dog food bowl, marble pet food bowl, pet feeding bowl and dog bowl from Jaipur. 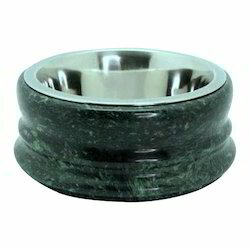 Our company has earned great laurels as manufacturers, wholesalers and suppliers of Marble Pet Bowl. Excellent quality material is used by our skilled professionals while designing bowl as per the latest trends of the industry. The one offered by us is appreciated for the superb capacity and premium quality. Apart from this, we provide this bowl in different sizes, designs, colors and patterns to our valuable clients at market leading prices.